Daytona Success: McMurray’s Daytona racing career began as a young teenager, first competing at the World Center of Racing in go-karts. 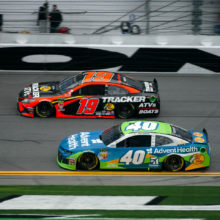 Since then, he has experienced winning in nearly every type of event that he has competed in at Daytona including go-karts, Sports Cars and NASCAR. McMurray is one of only four drivers to have ever won the Daytona 500 and Rolex 24 At Daytona, joining a list of racing legends that includes Mario Andretti, AJ Foyt and Jeff Gordon. Marquee Man: During his MENCS racing career, McMurray has had a knack for winning some of the biggest events in the sport. 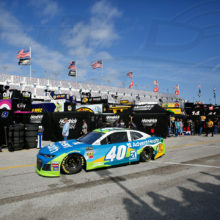 Having won in just his second series start at Charlotte Motor Speedway (2002), he has marquee wins in the Daytona 500, Brickyard 400 and the NASCAR All-Star race. He is also one of only three drivers that have won the Daytona 500 and Brickyard 400 in the same season (Dale Jarrett , Jimmie Johnson , and McMurray . In The Numbers: McMurray began his MENCS career driving the No. 40 for car owner Chip Ganassi in 2002 and quickly made a name for himself when won in just his second series start, setting the record for the fewest starts before a first win. 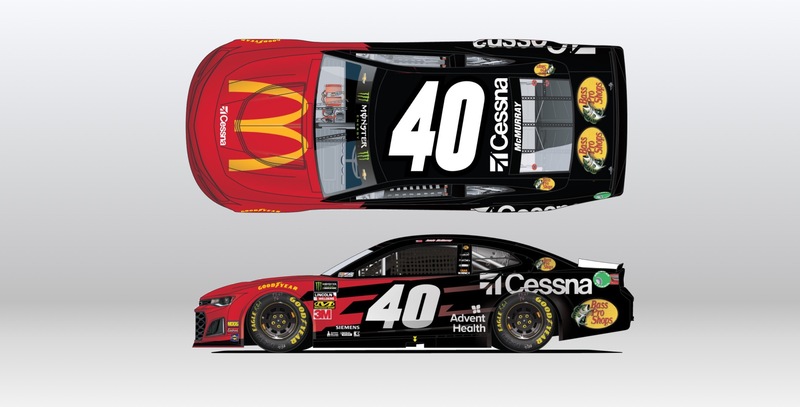 McMurray made six starts in 2002 in the No. 40 car, subbing for the injured Sterling Marlin, before moving to full-time competition in 2003 for CGR. In total, he has made 438 of his 582 career starts racing for CGR, including five of his seven MENCS victories. About Spire Motorsports: Spire Motorsports was established in 2018 by longtime NASCAR industry executives Jeff Dickerson and Thaddeus “TJ” Puchyr. 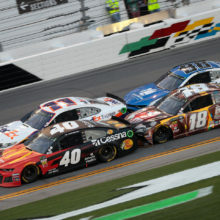 The team, led by veteran and championship winning team President, Joe Garone, will field an entry for the 2019 Monster Energy NASCAR Cup Series season. Spire Motorsports will focus on growth, development and performance. The team is based in Mooresville, NC.